What's new in Book Connect? New: choose the order of columns for your List View! New today, in all Connect apps AND Cloud viewers: a new Column Selection screen for the List View. Easily select your preferred columns by dragging fields from the Available Columns area to the Selected Columns area. 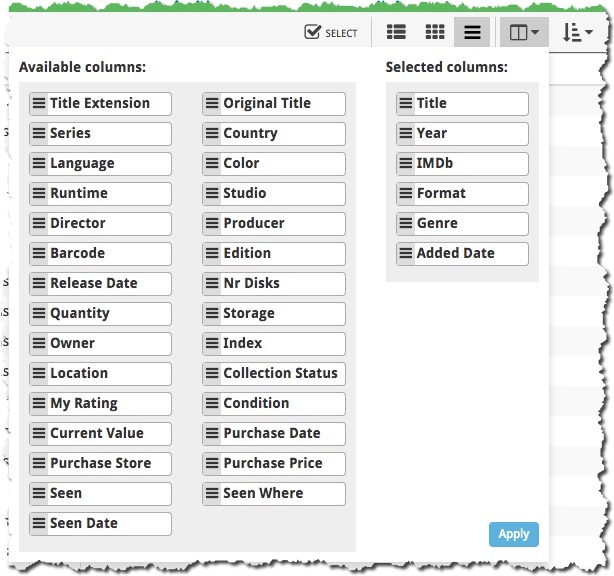 Drag and drop to re-order columns within the Selected area.